Dental implants are a highly beneficial dental procedure used as a treatment for missing teeth. They provide the patient with a secure structure that replicates natural teeth, supports the jaw, and allows you to eat, talk, and smile with confidence. There are many different types of dental implant available, but it all depends on your situation. In some cases, the usual course of treatment is not available, due to the patient having bone loss, a weak jaw, or low bone density to support the implants. Zygomatic implants are the solution to this. 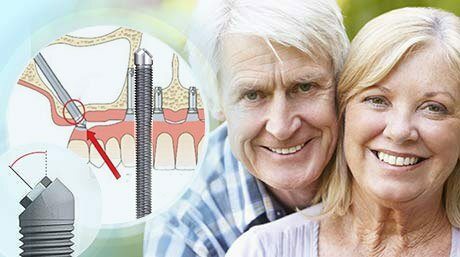 They allow people with weak bones or bone loss around the jaw, who would otherwise not be able to have dental implant surgery, the opportunity to enjoy a similar dental treatment to everyone else. Zygomatic implants open up the accessibility of dental implants as they’re for people who are edentulous, or partially edentulous and are used to replaced full arches of teeth. Zygomatic implants are very much like other dental implants, apart from two key differences. The first is that they are longer than usual. This serves a very specific purpose, and is the reason for the success of the treatment in patients with a weak jaw bone. The extra length allows the implants to reach further to the Zygoma, commonly known as the cheekbone. The Zygomatic implants are fixed not into the jawbone like standard dental implants, but into the cheekbone, where they fuse with the dense bone in a process known as osseointegration. The innovative solution was discovered by Professor Branemark in Sweden, 1989. He discovered that the Zygoma showed consistently high bone density and volume, which could be utilized in order to install dental implants in patients who’s jaws were unsuitable for surgery. The success of dental implants relies directly on a process known as osseointegration. This is the process whereby the bone surrounding an implant fuses with the implant itself. The implant can then function as if it were the root of the tooth and can provide the proper structure and security needed to hold the replacement teeth securely in place. It is imperative that osseointegration is successful if dental implants are to show long term success in the patient. This requires that the patient has adequate bone structure, density, and volume so that it may fuse well with the implant. The problem is that some people who want dental implant treatments already have weak jaws, bone reduction, and deterioration in the jaw. This can be caused by missing teeth, cancer and other problems in the mouth, or by wearing dentures for extending time. As a general rule, if bones are not exercised, it starts to fade away. This means that many people were being rejected for dental implant treatment, and missed out on the opportunity to reap the benefits of what is essentially the most effective treatment for missing teeth. Zygomatic implants are the solution for this. Zygomatic implants showed an immediately high success rate. Branemark’s initial 10 year follow up study showed a success rate of 94%, while a later study showed a success rate of 96.3%, which is nearly as high as the rate for the usual dental implant treatment for patients with healthy jaws. With this solution, dental implants soon became an accessible treatment option for many more people. The Zygomatic implants also completely negated the need for extensive bone grafting, which would be the usual course of action for patients with damaged jaw bones, who wanted dental implants before the innovation. Zygomatic implants offer all of the benefits of the conventional dental implant treatment. They provide the foundation for an entirely new set of replacement teeth that feel and look natural. You will be able to eat, talk, and smile in the same way as you always did. What makes the zygomatic implants unique, is that they have opened up the treatment for people who would otherwise not be able to enjoy these benefits, all while keeping an extremely high success rate. What To Expect From Your Zygomatic Implant Procedure? From the patient’s point of view, a zygomatic implant procedure is almost identical to that of a standard procedure. 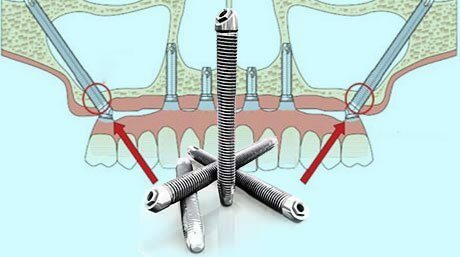 You will arrive for surgery, and the dental implant dentist will prepare the space in your mouth and then fit the implant. Instead of fitting the implants to your jawbone, they will fit them to the dense zygoma bone. The treatment requires a few days of healing before fixed teeth can be placed. It will take several months for the implants to fully heal, at which point your specialist may make adjustments, or replace the teeth with a permanent set of fixed teeth which are fully accurate and comfortable. Should I Get Zygomatic Implants? Zygomatic implants are an excellent treatment that allows you to have dental implants in cases where it would not usually be possible. Your prosthodontist will take a CT Scan of your mouth during your dental examination. Which gives them the vital information that they need to assess whether your jaw is strong enough to receive dental implants. If not, then they will inform you of the alternative options available to you, and recommend a treatment. If you want dental implants, and you find that you can only have them in your cheekbone in the form of zygomatic implants, then you would do well to take them. They offer the same benefits as any other dental implant, both aesthetically and functionally. You will have a new set of replacement teeth that look and feel as close to natural as you can get, supported by dental implants that have a proven success rate that is extremely high. Friedman Dental Group offers a free dental implant dentist consultation that can help you to understand which dental implant treatments are right for you. Ready For A New Experience In cosmetic Dentistry? Our great service along with the best technology in the field are only few of many reasons why so many patients have chosen FDG as their preferred teeth in a day implant centre. Call Us today for Your Free Consultation!